In the present era of agenda-driven journalism, major news outlets often attempt to persuade readers that weather events occurring now have never happened before…and they are worsened by human-caused climate change. Even the editor of the prominent scholarly journal Science has just claimed that the abundance of rainfall in California is now a trend brought on by human-caused climate change. Since when is a 7-month precipitation record a trend? Attempting to clarify how humans are simultaneously responsible for too much and too little rainfall, Michael Mann explains why warming causes more intense rainfall and widespread drought at the same time, and how this is ironic but not a contradiction. It wasn’t all that long ago that journalists actually reported on climate change and weather events while considering a long-term context of natural variability rather than characterizing year-to-year weather change as unprecedented, the worst on record, and caused by humans. For example, in 1992 the New York Times actually published an article indicating Medieval-era droughts were much more severe than now, lasting hundreds of years. 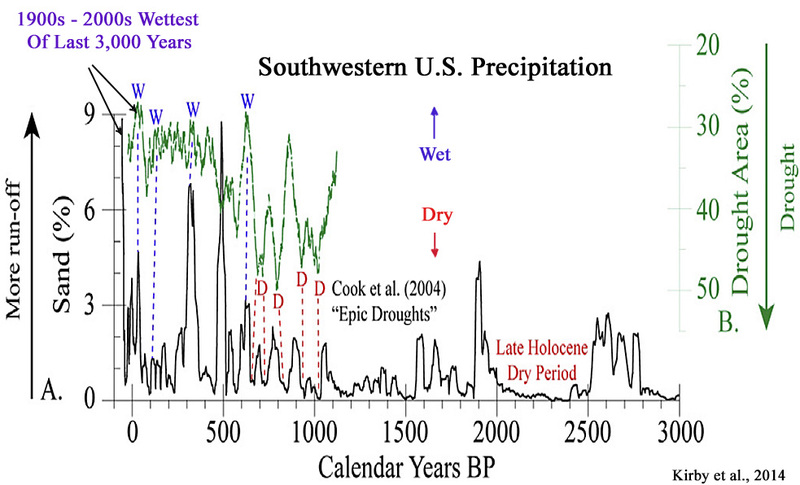 The modern period has been “relatively wet” compared to the past in that region. It is very sad to see the state of climate science nowadays. Closed, blinkered minds either following the money, or playing along for the sake of their careers. Or in the sake of the AGW cultist trolls, some sort of empty-child-minded, feel-good, self-gratification. So, it should, or may, or … No it doesn’t! Modern climate science disregards a memory of any kind – what say said two, twenty, or fifty years ago. Historical data is only a great material for adjustments. Interesting paper.. shows essentially that ALL so-called warming has basically come from “Adjustments™” to the surface data. It was found that each new version of GAST has nearly always exhibited a steeper warming linear trend over its entire history. And, it was nearly always accomplished by systematically removing the previously existing cyclical temperature pattern. The conclusive findings of this research are that the three GAST data sets are not a valid representation of reality. In fact, the magnitude of their historical data adjustments, that removed their cyclical temperature patterns, are totally inconsistent with published and credible U.S. and other temperature data. GAST includes surface data from NOAA, NASA, HADCrut, and any other series using GHCN data. I have no problem with GISS temperature record when properly displayed. This amusing and very recent. Jun 15, 2017 HAHA!!! GLOBAL WARMING STUDY CANCELED, THE REASON WILL HAVE YOU ROLLING ON THE FLOOR LAUGHING!!! Mears has always been a rabid warmista.. He hung onto his scientific integrity a lot longer than I expected. You do know what integrity is, don’t you seb. I have seen zero instance of it from you. It’s telling he has nothing to say about the subject of the post. Data tampering = the source of all the warming. Tony Heller has been saying that, with proofs, for years. Oh, right. Didn’t put the two together. That paper can not be referenced too often to highlight the corrosion inherent in modern ‘climate science™’. UN-IPCC is based on pseudo-science. I understand Wallace, D’Aleo and Idso worked with Tony Heller on the paper. Good. Tony Heller has been doing such a great job for a LONG time! Do you think that Wikipedia is an objective, down-the-middle resource when it comes to providing information on Climategate? Do you think that those of us here believe it is an objective, down-the-middle resource? It’s like trying to support your beliefs by linking to Michael Mann’s twitter page. But seriously … that’s not Wikipedia. Did you try to construct a straw man argument here? Oh we are doing analogies again? What is linking to Principia Scientifica then? Can a website with gems like this one ( http://principia-scientific.org/emissivity-debunks-climate-alarm/) be taken seriously? Can a blog like notrickszone be taken seriously when one of its authors constantly confused units? My mistake. I saw “Wiki” and assumed you were quoting from Wikipedia, which is run by the likes of William Connolley in cases of climate change “information”. Of course, RationalWiki also toes the company line regarding Climategate as a nothing-to-see-here too. Actually, Climategate was one of the turning points for me personally. Discussing the manipulation of temperature data to show more warming is rather egregious to me. Climategate existed and showed up the scientific maleficence of the main AGW proponents. We know you have to DENY it, seb, because that maleficence is part of you as well. We know that data manipulation and FR**D is totally acceptable to the AGW cult and its hangers-on. That is how it was formed, afterall. You well know that there is ZERO PROOF of any of the actual anti-science, anti-CO2 claims of your baseless religion. Worth noting is that RationalWiki is also deemed to have a slight (politically center-left) bias compared to Wikipedia — and that’s no surprise, as we explicitly do not aim for a neutral point of view. Note also that the comparison made here to Wikipedia is not to be confused with us considering RationalWiki an encyclopedia (we don’t). Yes, thank you. Dr. Munshi had sent notification that his 2015 paper had been updated. I will use this one in future discussions of the non-correlation between year-to-year CO2 emissions (humans) and Mauna Loa changes. The argument still seems to be that human emissions don’t correlate with CO2 concentration increase … completely ignoring the trend and all models of gas (CO2) exchange between the atmosphere and the ocean surface. I’d like to repost this image: http://imgur.com/a/i5JfV … do those lines correlate? If you know what they are you know how they are connected to each other … yet, no correlation, but the red line is causing the orange line to increase. The trend hasn’t been ignored. Here’s the airborne fraction. Do you see a correlation there either? Of course the trend is ignored in that Munshi paper. They explicitly try to correlate detrended time series. Airborne fraction is the percentage of human CO2 that remains in the atmosphere, e.g. roughly the increase in atmospheric CO2 content divided by human emissions in that year. You do realize that, do you? Since the ocean CO2 uptake has increased proportionally with the atmospheric CO2 content it has been like this (around half of our emissions get absorbed) for a long time now. It’s basically a result of the mechanisms involved. Airborne fraction correlates very well since it is derived from anthropogenic emissions and the annual increase in CO2. Why do you think it doesn’t correlate? The trend for temperature increasing since 1979 is also “ignored” in the paper (it’s detrended too), but as Munshi points out, the [detrended] temperature—>CO2 change is found to be correlated, while the human emissions—>CO2 change is not correlated. In other words, the detrending has little or nothing to do with establishing that human emissions don’t correlate with CO2 changes, but temperature change preceding CO2 change does correlate. Did you miss this? “Detrended analysis shows that changes in atmospheric CO2 are related to surface temperature both in the long term and in the short term over a wide range of time scales. In comparing these results with the similar detrended analysis of the responsiveness of changes in atmospheric CO2 to the rate of anthropogenic emissions, it is noteworthy that Figure 10 [temperature–>CO2 change correlation] represents a more credible relationship than Figure 6 [human emission–>CO2 change correlation] which shows no responsiveness of annual changes in atmospheric CO2 to the annual rate of anthropogenic emissions in the detrended series. Uh, no it doesn’t. Climate models have for decades predicted that the airborne fraction would rise as emissions rose. It hasn’t. Emissions rise dramatically as the AF remains constant, even decreases. Notice that the red and blue trend lines are headed in opposite directions after 2000 here. Even James Hansen himself admits that the AF isn’t operating according to what the models said should happen (the AF should increase as the emissions increase). This exactly! Because the trend that is missing after detrending both time series is the human emissions caused atmospheric CO2 content change. By pointing out that only temperature correlates you make it sound like human emissions have nothing to do with increase itself. Which is not – as you now admitted – the case. Uh, no it [AF correlation] doesn’t. Climate models have for decades predicted that the airborne fraction would rise as emissions rose. What climate models? The ones I know have CO2 uptake reacting to CO2 concentration, not human emissions. It just so happens that the concentration increases at the same pace as our emissions increase, resulting in a near constant airborne fraction. BTW: since we are talking about the airborne fraction here and you obviously know what it is, why do you still think that 40-50% of human emissions staying in the atmosphere per year and CO2 concentration increasing by roughly the same amount of CO2 each year is not a clear sign that we are responsible for 100% of the concentration increase? No, as Munshi writes (and as other observers have noted again and again), the temperature-change-leads/causes-CO2-change better explains the cause-effect than can human CO2-emission-causes-CO2 concentration change does. This is true for both trended and detrended series. It’s amazing how effortlessly you twist what has been written to fit your own point of view. The Munshi paper does NOT support your beliefs that 100% of the atmospheric CO2 change is caused by humans. Changes in ocean temperatures appear to explain a substantial part of the observed changes in atmospheric CO2 since January 1980. CO2 released from anthropogenic sources apparently has little inﬂuence on the observed changes in atmospheric CO2, and changes in atmospheric CO2 are not tracking changes in human emissions. 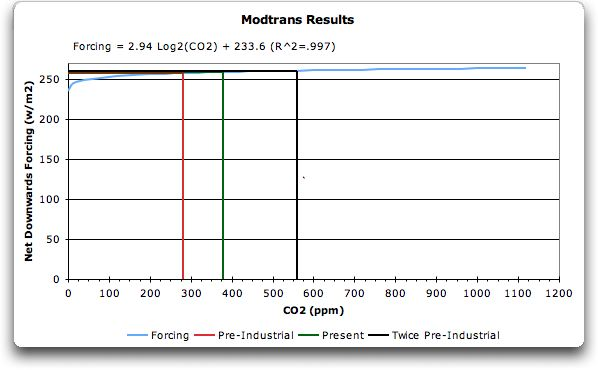 It’s rather amazing how you are able to argue about the airborne fraction and on the other hand try to make up an argument that CO2 concentration follows temperature. That’s really difficult to grasp … I mean the airborne fraction is by definition telling us that 40-50% of the CO2 emitted stays in the atmosphere … and surprise, that’s the amount the atmospheric CO2 content increases! The Munshi paper doesn’t refute that human CO2 emissions are responsible for the increase. They only thing this shows is that variations in the increase correlate with temperature. Variations in CO2 concentration increases is following temperature. Not surprising at all since this is the model used by everyone. 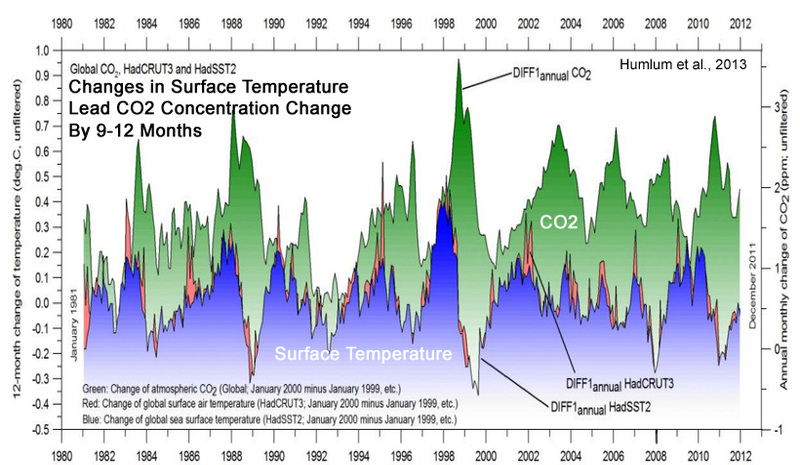 What temperature doesn’t explain is the increase of the CO2 concentration itself. Which – coming back to the beginning – is of the same magnitude as the what is left from human emissions in the atmosphere (airborne fraction). I’ll continue to amaze you, then. Carbon models say that the AF should increase along with increases in emissions rates. They haven’t. The AF has stayed the same (or decreased) despite a pronounced increase in emissions. I must be writing Chinese or something. Is my English this bad? How often does this need repeating? The Munshi paper compares detrended data. That’s good to compare variations in a trend, but that completely ignores the overall trend. Fill a swimming pool with a constant source of water (a garden hose maybe) and now get someone to help you by getting buckets of water from inside your house. Measure the water level, detrend it and compare it to the detrended water input figures. You’ll notice that it correlates perfectly to the bucket input, not the garden hose input. But you wouldn’t argue that it was the bucket that filled the pool, would you? The AF has stayed the same (or decreased) despite a pronounced increase in emissions. Do you know what the AF is? Do you know how it is connected to human emissions? And how can you not see that 40-50% of our emissions staying in the atmosphere (4-5 GtC) is roughly the amount the CO2 content increases each year? No, your arguments are just monumentally WRONG, and your mindless analogy way out of wack with reality… as always. Why do you hate CO2 so much ?? So what is the problem now? It is getting warmer, so shouldn’t we expect longer and more severe droughts? And if warmer temperatures lead to this, is that part of the natural variability? What if those warmer temperatures aren’t caused by natural variability? The title of this blog post seems to make fun of “climate activists” for blaming global warming to be the cause of both rain and droughts. I am missing the part where it is shown that this is, in fact, ridiculous or impossible. IPCC summarizing statements from AR5 (2013): “In summary, the current assessment concludes that there is not enough evidence at present to suggest more than low confidence in a global-scale observed trend in drought or dryness (lack of rainfall) since the middle of the 20th century.” Why, SebastianH, have we not had more global-scale droughts? That’s what’s expected, right? And why should we expect that…with warming? Precipitation patterns are driven by solar activity, not 0.000001 variations in atmospheric carbon dioxide. But you go right on ahead and believe that humans cause droughts by driving cars and flying in planes and heating their homes with natural gas. No. The title of the post makes fun of blaming humans for both severe droughts and flooding. Humans are not “global warming”. By the way, SebastianH, you obviously didn’t realize that there is an “excellent understanding” that cooling sea surface temperatures are considered to be the cause of California droughts. (See the citations below documenting this “consensus”.) How do humans cause the cooling of sea surface temperatures that cause droughts? Can you explain that scientifically? Not your friend, that’s for sure. Otherwise you might be able to find a paper that proves CO2 causes warming in a convective atmosphere. Or a paper that proves CO2 warms oceans. Or some proven downsides of enhanced atmospheric CO2. So far you are on three strikes. ….. batting zero from a few hundred. Maybe if you open your brain and your eyes, you might get somewhere… or not. Papers don’t prove anything AndyG55, they are evidence. Proofs are something you do in math. You still haven’t provided anything in all these discussions. No numbers, no explanations of how things are supposed to work in your magic world. I realize that I am the one intruding on your turf here and I need to explain why I think you are wrong, but you showing nothing in return is pretty telling. Not asking you to “prove a negative” here. But you should at least be able to explain what causes warming in a convective atmosphere that is consistent with observations and physics. You should be able to explain what exactly warms the oceans and give W/m² to support that. You should be able to demonstrate that more CO2 is beneficial at the end. This includes that either CO2 has no effect on temperatures or that higher temperatures aren’t bad enough to cancel out the benefit from better plant growth. I think I got your point, thanks for expecting otherwise. You didn’t disappoint with your reply either. How do humans cause the cooling of sea surface temperatures that cause droughts? Can you explain that scientifically? Why would humans need to cause the cooling? Amplification is enough to cause more severe droughts. If El Nino events become more powerful with increased OHC due to increased CO2 forcing, then El Nina events shouldn’t stay normal either. So you actually believe that 0.000001 changes in atmospheric carbon dioxide concentrations are what cause El Nino/La Nina events to become “more powerful” and not “normal”? SebastianH, ENSO events are not driven by human activity. They are naturally occurring events. There have been 20 El Nino (warm) events and 13 La Nina (cooling) events since the 1950s. The discrepancy between the two (more warming events than cooling) can explain the warming. Where do ENSO events draw their energy from? From the heat content. More heat content means more power released and likely results in a greater “backlash” too. The Sun. This is new information for you? The various techniques have been used to confer the existence of significant relations between the number of Sunspots and different terrestrial climate parameters such as rainfall, temperature, dewdrops, aerosol and ENSO, etc. Improved understanding and modelling of Sunspots variations can explore the information about the related variables. This study uses a Markov chain method to find the relations between monthly Sunspots and ENSO data of two epochs (1996–2009 and 1950–2014). … Moreover, perfect validation of dependency and stationary tests endorses the applicability of the Markov chain analyses on Sunspots and ENSO data. This shows that a significant relation between Sunspots and ENSO data exists. Beside the strong effects on vertical mixing, solar radiation is the primary heating term in the surface layer heat budget, and wind forcing influences SST by driving oceanic advective processes that redistribute heat in the upper ocean. [G]lobal warming and cooling during Earth’s internal mode of interannual climate variability arise from fluctuations in the global hydrological balance, not the global radiation balance. Since it occurs in the absence of extraterrestrial and anthropogenic forcing, global warming on decadal, interdecadal, and centennial period scales may also occur in association with Earth’s internal modes of climate variability on those scales. Introduction: Several recent studies of solar–geomagnetic effects on climate have been examined on both global as well as on regional scales.The Sun’s long-term magnetic variability is the primary driver of climatic changes. The magnetic variability (mostly short-term components) is due to the disturbances in Earth’s magnetic fields caused by the solar activity, which is usually indicated by indices of geomagnetic activity. The Sun’s magnetic variability modulates the magnetic and particulate fluxes in the heliosphere. This determines the interplanetary conditions and imposes significant electromagnetic forces and effects upon planetary atmospheres. All these effects are due to the changing solar-magnetic fields which are relevant for planetary climates, including the climate of the Earth. The Sun–Earth relationship varies on different time scales of days to years bringing a drastic influence on the climatic patterns. … The another most important climate variation is El Niño–Southern Oscillation (ENSO) events, which impact the global oceanic and atmospheric circulations which thereby produce droughts, floods and intense rainfall in certain regions. The strong coupling and interactions between the Tropical Ocean and atmosphere play a major role in the development of global climatic system. … In particular, the El Niño, solar, geomagnetic activities are the major affecting forces on the decadal and interdecadal temperature variability on global and regional scales in a direct/indirect way. The Sun is the energy source for everything. Where do ENSO events draw their energy from? From the heat content. It gets “charged up” by the Sun and released periodically. This happens faster when backradiation increases. P.S. : http://imgur.com/a/GrELe … I don’t see how ENSO events are correlating with sunspots (in a linear fashion). And the heat content of the ocean is modulated by variations in shortwave radiation absorption. ENSO events are a redistribution of the heat implanted in the ocean by solar radiation. There are no physical measurements, empirical observations, or controlled experiments that demonstrate that varying CO2 concentrations over water bodies cause heat changes in water bodies. You have affirmed that you have nothing to support your beliefs time and time again by failing to produce anything that would resemble real-world evidence. All you have are models, beliefs, and condescension and derision for those who question your positions. That’s because you’ve already settled on your conclusion that net ocean heat content changes are caused by humans, and therefore any other natural explanation that undermines that conclusion is worthy of dismissal and/or derision. I have access to many dozens of papers that have been published in the last few years linking solar radiation variations to ENSO. If I thought it would make a difference, I would provide you with several of them. But you’ve got your mind made up already: CO2 is the cause. Kenneth, it has been shown that varying backradiation causes changes in heat content. 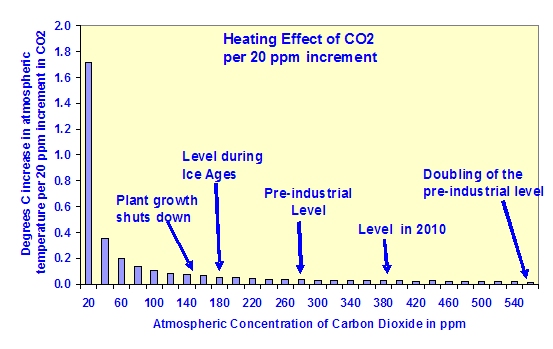 CO2 is a greenhouse gas and varies backradiation. That part is undisputed. I hope you are not arguing against this basic law of physics. However, there are different ways for bodies of water to get rid of excess incoming energy, e.g. by evaporation and increased conduction. So it could be possible that all of the imbalance caused by more CO2 in the atmosphere is taken care of this way. Unfortunately, this hasn’t been conclusively shown. And if those mechanisms only take care of 50% or 30% of the imbalance, then the heat content of the body of water will increase. So what is that you like to refute? That evaporation and conduction get rid of only part of the imbalance or that changing backradiation causes change of the heat content in bodies of water (or in fact anything that is not transparent to LW radiation) if no other mechanism takes care of the imbalance? Scientists don’t even mention CO2 as a mechanism when discussing the factors that influence ocean heat content change. This one is getting old now … didn’t the comment get through where I explained to you why each and every one of your listed papers wasn’t mentioning CO2? Your linked paper about cloud forcing is from 1989. Don’t you think that something more recent (with more and better satellite data available) would better represent the current state of our understanding of this topic? If global cloud forcing is value X W/m² then a change by Y percent or the cloud cover is what matters to actually change the energy budget. So if X is -21 W/m² and cloud cover changes from 70% to 69%, then this results in an increased forcing by 0.3 W/m² … if it changes from 68% to 64% over a longer time period (the graphs I could find suggest 20+ years) that mean 0 W/m² of additional forcing at the beginning and 1.24 W/m² at the end or 0.62 W/m² on average. It’s not orders of magnitude bigger than CO2 forcing. I think it’s the other way around. You settled on “it can’t be humans”. Somehow you convinced yourself that heat content uptake can only be caused by solar variations and nothing else. I wonder how that works … why is heat content increasing while the Sun is getting weaker? Be very specific. Cite a source using observed physical measurements from a controlled real-world experiment showing just how influential CO2 backradiation is at cooling or heating water when it is raised or lowered. You do have this real-world evidence available, right? By how much? Quantify it using real-world physical measurements. If CO2 was lowered by -10 parts per million (-0.00001) over a body of water, by how much would that body of water cool? Cite the controlled experiment verifying this. Apparently it didn’t get through. But if it had, I hardly think this “explanation” would stand scrutiny. Could it be possible that the reason why CO2 isn’t mentioned as a factor influencing the skin effect (where backradiation does all its damage since it can’t penetrate past that micrometer layer) is because its alleged forcing is so negligible relative to the other factors influencing the skin effect? Why isn’t methane mentioned as a factor? It’s a greenhouse gas. It has 1,450 citations, with about 100 citations coming just within the last year. Have the physics of cloud radiative forcing changed? If so, explain how and when that happened. I have never written that “it can’t be humans”. I don’t use the word can’t, as that indicates 0% possibility. And my position used to be more aligned with your side, as I assumed that humans play a substantial role, until about 2009 or so (Climategate). I was relying heavily on the argument from authority – since so many scientists agreed, they must be right (I thought). And then I really dug into it…and came out of it aligned with skeptics. I’ve switched sides…because your side is based on modeling and a lack of real-world physical evidence…and couldn’t explain how CO2 heats or cools the ocean with real-world physical evidence, and still can’t. That’s what did it for me. No, those are your own made up words. I don’t use words like “only” or phrases like “nothing else” as it applies to causation. I don’t do the 0% vs. 100% dichotomies you dishonestly try to box me into. I understand why you do this (make up straw man arguments). You have nothing left. 1) Don’t interpret statements in papers however you want. I guess you don’t realize that the emphasis in your quote only describes the LW radiation effect without the SW radiation effect. Their conclusion is cloud forcing ranges from -13.2 W/m² to -21.3 W/m² coming from incomplete data (see the first paragraph on page number 62). 3) http://kaares.ulapland.fi/home/hkunta/jmoore/pdfs/Jev2009GL040216.pdf (Anthropogenic forcing dominates sea level rise since 1850) is evidence for CO2 also being responsible for heat content changes. Second paper: their spectrum (Fig. 5) included the wavelength CO2 emits at and also the paper is trying to show a way to more accurately measure sea surface temperatures from space. You quote is about the emitted radiation from the sea surface at various angles and how parts of that radiation are blocked by water vapor, etc. It doesn’t have anything to do with the effect of backradiation on warming. Third paper: CO2 is not mentioned in your emphasis because it is no meteorological parameter. There is also a difference between incoming radiation in the first list of things determining the total flux and the mention of incoming solar radiation and latent heat being the most important. Unfortunately, the full paper is paywalled. But I bet GHG LW radiation is mentioned in that paper. Fourth paper: the conclusions all seem to be about wind affecting the skin layer. The authors don’t seem to look at other things influencing the gradient and merely cite papers that do. It has 1,450 citations, with about 100 citations coming just within the last year. Have the physics of cloud radiative forcing changed? See 1) … they used incomplete data. Just 4 months of the ERBE data. Later papers have probably access to a more complete set of satellite measured LW and SW forcing of clouds. 6) Climategate isn’t what skeptics imagine it to be. couldn’t explain how CO2 heats or cools the ocean with real-world physical evidence, and still can’t. That’s what did it for me. Of there is evidence … lots of evidence. But you conveniently require that there should be experimental data from actually changing the CO2 content of the atmosphere and measuring what happens to a body of water. I guess that is ok if it helps you to stay in skeptics wonderland. It just doesn’t make it less true that more backradiation always causes heat content buildup. Without it, there can’t be any increase in evaporation or conduction. And no, that is not a belief. That’s physics. You can keep arguing that the heat content increase is lessened by evaporation, etc … that doesn’t change the fundamental physics involved that you try to dispute here. Ah, so its a solar influence. None of your hated CO2 involved. After all, we all know that CO2 does not warm oceans. Thanks for the clarification, seb. And you tell people you aren’t trolling? 😉 Good one AndyG55. You just said it was solar influences, I agreed. Stop your petty trolling, seb. Its tedious, and beneath even your petulant low standards. Your pretence at a basic education is hilarious. Poor little zero proof seb..STILL flapping about like a stunned mullet or a rather, a SLIMY eel trying to avoid answering basic questions. All the time harbouring an inner hatred of the CO2 that nourishes the whole world’s existence. DENIES CO2 is plant food and that enhanced atmospheric CO2 is totally beneficial. Explanations have been given, and your brain-washed pea-brain has totally ignored them. The gravity thermal effect is well published, and scientifically and mathematically supported, by real science, not baseless unproven assumptions like the AGW scam is. Let go of your CO2 hatred, and your science anti-knowledge, seb, and try once to actually learn. You make up things I never said/wrote and that Nikolov/Zeller paper is anything but “real science”. It’s correlation without causation … the very thing that people here claim AGW proponents are doing. Your side does “do” correlation = causation, SebastianH. How else would you explain why your side believes that humans are responsible for the net increase in ocean heat content since 1955…since there are no physical measurements, real-world observational evidence, or controlled scientific experiment showing that varying CO2 concentrations over water bodies in volumes of + or – 0.000001 causes heat changes in those bodies of water? It’s ALL correlation: Human CO2 emissions rose; OHC rose; therefore, Human CO2 emissions caused OHC to rise. That IS exactly what your side does. It’s ALL correlation: Human CO2 emissions rose; OHC rose; therefore, Human CO2 emissions caused OHC to rise. That IS exactly what your side does. Nope, and I won’t bother explaining that to you again. I did that multiple times now … and you don’t seem to understand. Either because you can’t or because you don’t want to … I don’t know and I don’t care. Nope? So you’re saying that there is, in fact, causation that has been established in an actual controlled, real-world experiment? It’s not just in models? Great! Cite the evidence, with physical measurements, that affirms that CO2 heats and cools water when raised or lowered in the real world, and how much. You really hate real science as much as you HATE CO2. And there very much is causation, it runs through the whole paper. You are just being WILFULLY BLIND and IGNORANT in refusing to see it. Your inner hatred of CO2 will not ALLOW you to see that it is NOT a driver of temperature in any way what so ever, and is in fact totally beneficial and absolutely essential for all life on this CARBON-BASED planet of ours. Attacking the very constituents of your existence, truly requires a moronic state of mind. !!! … Or are you referring to some nonsense anti-science analogy you dreamt up while high on illicit mushrooms?? And yes, seb, you have made it perfectly obvious that you DON’T KNOW much about anything, and you DON’T CARE to fix your ignorance. Thing is , nearly all the so-called “warming” in the last 100 or so years is purely from data adjustments. … just like ever other aspect of your anti-science AGW religion. So stop your ignorant rant, read the paper, and understand that there is very little modern warming if any. Your referenced papers are based on the assumption human induced warming is happening. The reality is the only human induced warming was in the continual adjustments to the temperature figures and not the real temperature. I find is fascinating that you trust a “paper” like this to get things right and have such a deep rooted distrust against adjustments of temperature records. What if the “paper” is wrong? (serious question). The “paper” is laughable at best. While reading it I felt like NASA must have felt when they were forced to say that there are no child s** slaves on Mars. It is no coincidence that stories like this only get picked up by the crazy people media outlets (Dailycaller, Breitbart, Heartland Institute, etc). Climategate was another such non-story that still lives as a legend in skeptics circles and gets occasionally mentioned. Why do you tend to believe claims like this? Extraordinary claims need extraordinary evidence! The paper about adjustments of temperature records certainly is far more believable than any you list above. 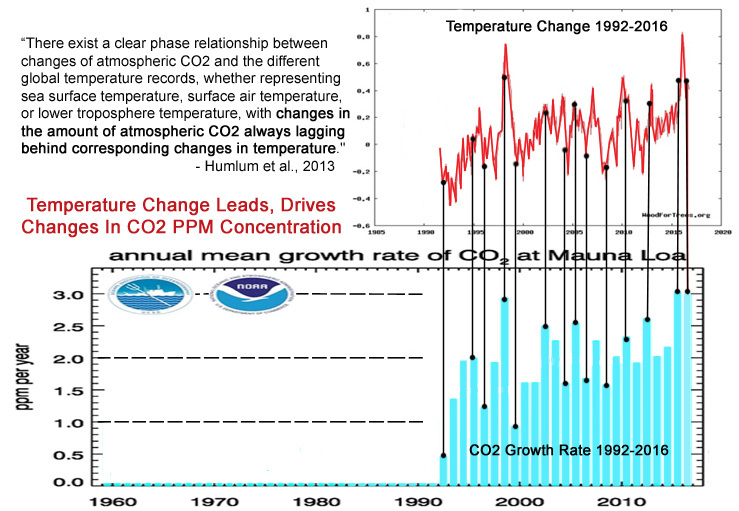 “onlinelibrary.wiley.com/doi/10.1002/2014GL059748/full (by human induced warming)” What because the planet has warmed up since 1970 this paper assigns that to human activity. Sorry not very persuasive. “…Based on the ensemble of calculations, California drought conditions were record breaking in 2014, but probably not record breaking in 2012–2014, contrary to prior findings.” By definition these model ensemble assume warming is from human induced CO2, so sorry not very persuasive. In fact all your listed papers have this in build confirmatory bias of AGW. Sorry not very persuasive. Dr. Thomas P. Sheahen — Ph.D., Physics, M.I.T. I find far more persuasive than the pile you provided above. DENIAL of facts will get you laughed at even more, seb. Our CLOWN act and mindless yapping are already funny enough. You seem to relish the scientific maleficence shown by the Climategate emails. Data MAL-ADJUSTMENT is, to you, an acceptable part of your AGW, anti-science mantra. Your CO2 hatred uns deep, doesn’t it seb. UAH matches unadjusted surface and balloon data very well. RSS now doesn’t. UAH even matches NOAA’s own satellites. You will have to do much better than mindlessly yapping that you don’t like the paper. But we know that is all you have. Mann’s climate lecture is probably the dumbest science you’ll ever see. Obviously, Michael Mann’s lecture is convincing evidence for followers like SebastianH. It’s the wet-gets-wetter, dry-gets-drier belief (or here, “paradigm”). Most of the land is not near the coasts, California is near the coast. What I find amazing about skeptics is that they seem to be only able to think in linear terms. If one variable increases, something else increases or decreases accordingly. They do that despite claiming that it is a too complex system to fully understand. Did you come to an understanding yet of why CO2 concentration (before industrialization) could decrease even though temperatures increased and vice versa? I have no idea who or what you might be referring to. If it’s me or something I’ve written, this characterization couldn’t be more erroneous. I fully expect that you have, once again, dishonestly made up a position or thought and then falsely attributed it to “skeptics”. That’s what you do habitually. Making up straw men is all you have left. You (the skeptics) are largely looking for linear connections. One thing changes and another thing reacts proportionally. But that’s not always the case. And when it’s not the case skeptics still try to find that linear link and if they can’t they declare that there is no connection. All this despite emphasizing quite often that it’s a complex system. As for you: you always mention the year-to-year increase of human emissions not matching the change in CO2 concentration. That’s different from what I meant (you purposely use amounts with different units in your comparisons), but the strategy is the same. You try to show that there is no linear connection and therefore there is no connection at all. 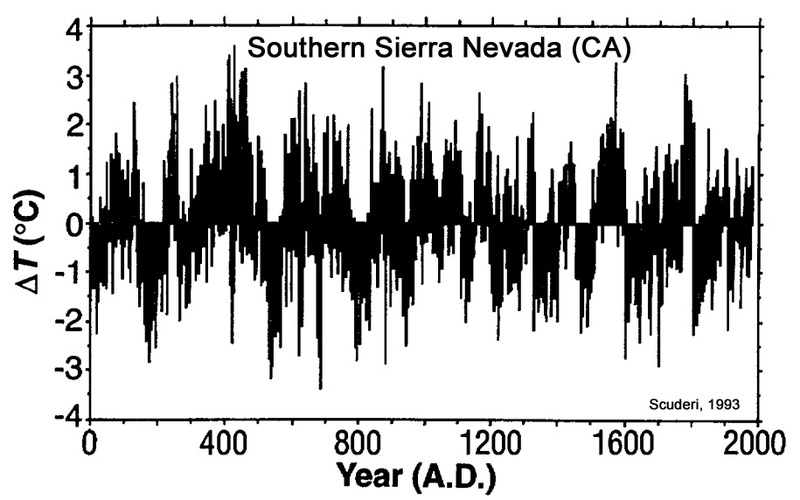 Same for CO2 levels rising when the temperature was falling (in the Holocene, before industrialization). Well, that was a particularly mindless, empty yap, seb..
Why do you hate CO2 so much??? What has it ever done to hurt you?? That is a lie and appears to be a projection of your own situation. You could prove it is so by citing examples of such behavior. However be aware the term “(the skeptics)” is your simplification because you have difficulties not differentiating one person from another. You are setting yourself up for a ‘them versus us situation’ mainly because your arguments are particularly weak and not very convincing. I am describing examples of Kenneth’s behavior in trying to find linear connections and if they don’t exist declaring no connection at all (CO2 and temperature in the Holocene). I merely wanted to express one of the observation I have made in the last 6 months. The context here was that Kenneth can’t believe that (human caused) global warming can be both, the reason for more precipitation and the reason for more severe droughts. And, of course, I DID NOT declare “no connection at all (CO2 and temperature in the Holocene)”. You have, yet again, dishonestly made up a position/thought that I did not write. You have nothing else to do but attack made-up positions. Does the dishonesty ever stop? There is a connection between CO2 and temperature during the Holocene. CO2 rose from 180 ppm to 255 ppm several hundred years after the Pleistocene/Holocene temperature change occurred. You’ve done it again. Two paragraphs, two made up positions. I can indeed agree with a wealth of scientific literature that a change in sea surface temperatures (brought on by changes in the natural oceanic oscillations, which are linked to solar influences) could be linked to changes in precipitation (such as the East Asian Monsoon variability). The problem with your characterization above is that you just assume that “(human caused) global warming” is the determinative reality for precipitation changes. The precipitation variability on decadal to multi-centurial generally always reflects changes in solar activity and large-scale circulation, e.g., the ENSO and the EASM [East Asian Summer Monsoon] (Chen et al., 2011; Vleeschouwer et al., 2012; Feng et al., 2014). [D]uring the MWP [Medieval Warm Period], the wetter climate in this region was consistent with more frequent ENSO events, stronger EASM and higher solar activity, whereas the opposite was found for the LIA. 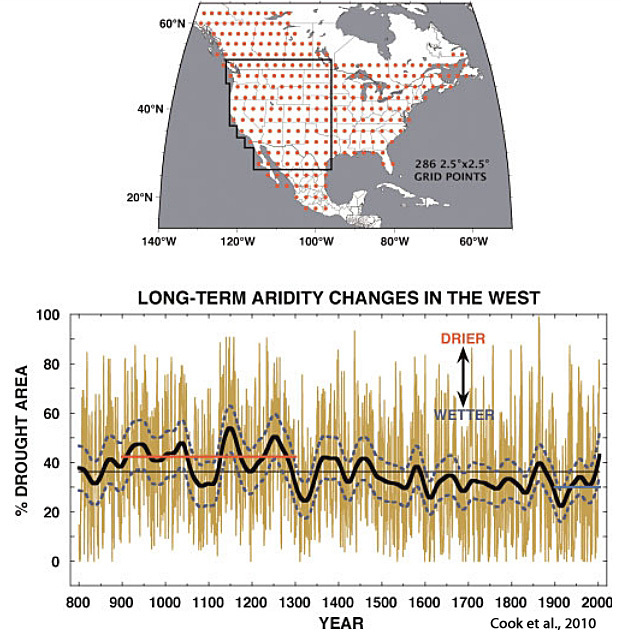 In particular, d13Cac fluctuations on multi-decadal to centennial scales is consistent with the changes in solar activity, with fewer dry intervals corresponding to periods of minimum solar activity within dating errors, which are referred to as the Oort Minimum (AD 1010-1050), Wolf Minimum (AD 1280-1340), Sporer Minimum (AD 1420-1530), Maunder Minimum (AD 1645-1715) and Dalton Minimum (AD 1795-1820). You are searching for correlations without understanding the mechanisms involved. And when you do not find those correlations or notice contradictions and you declare that this is “routinely dismissed” by those attributing the increase to human emissions. Can you tell me how the different lines correlate with each other? Do you realize that it important to understand the mechanisms involved now that you looked at this graph (of acceleration vs. speed vs. distance)? I am searching for correlations because YOUR SIDE claims that, even during the Holocene, temperatures rose because CO2 rose. Ferdinand Engelbeen claims there is a correlation between fluctuating temperatures and CO2 throughout the Holocene – including the Little Ice Age. He even claims that CO2 fell as a consequence of the LIA cooling. I am merely pointing out that this claimed correlation doesn’t stand. That’s why I have increasingly come to the conclusion that our interpretations of ancient atmospheric CO2 concentrations from ice core air bubbles is likely flawed/contaminated. It’s highly likely that CO2 concentrations were (much) higher than today during the Holocene Thermal Maximum, for example. We have measurements that extend into the 500s, 600s, 700s ppm. But those measurements are rejected because they don’t fit the AGW paradigm. I refuse to engage in your attempts at analogous diversion from the topic at hand by commenting on your gratuitous graphic. Looks and reads like another lie and still appears to be a projection of your own situation. My observation is that seb is a nil-educated scientifically nil-literate AGW troll with a base-level brain-washed hatred of that atmospheric CO2 that keeps the whole Earth alive. So deep is his inner hatred, that wishes it GONE, and all life on Earth with it and is prepared to LIE, FABRICATE and destroy whole nations economies with totally unreliable power supply on the back of that CO2 hatred.. Prove me wrong, seb, stop worshipping the regressive hatred of your baseless, anti-science, anti-CO2 AGW religion. Join the rest of us in rejoicing at the abundance that enhanced atmospheric CO2 offers to the world and all life upon it. See, another one of this MYTHS that seb constantly yaps about. Although, most of the recent “warming™” (100 years or so) is caused by man. Its just that its only a fabricated numerical warming, not a real one. A warming that is NOT REAL cannot affect anything except the weak mins of AGW cultists. And even if there has been some small REAL warming.. ZERO PROOF that humans have caused any of it. Certainly there is ZERO PROOF that CO2 has anything to do with it. Seb, never seems to pay much attention, and certainly has never given due consideration to the weather and climate being a matrix of many, mostly non-linear, loosely coupled, feedback systems with variable timing coefficient. Given the enormous multi-hysteresises in the weather’s numerous non-linear multi-reactive systems it would be highly unlikely that Michael Mann imaginary ideas could ever happen. Life has a habit of making chemical reactions go in unexpected directions and at speeds unseen anywhere outside of living creatures. Despite the chemical reality of increased CO2 making the precipitation of CaCO3 slightly harder, the coccolithophores pay little attention to how steep the energetic hill is. They just keep cranking, and in this case, even speed up. I find this very important because according to the study, coccolithophores are estimated to be responsible for about half of all precipitation of calcium carbonate (CaCO3) in the ocean. Half. That’s a lot. And that’s it life battles on against entropy, against decay. “War, climate change, exploitation are the result of the capitalist system that the G20 stands for and which 20,000 police are here to defend,” demonstrator Georg Ismail told AFP. Says Georg as he pockets his iPhone in his designer jeans. The trappings of capitalism dripping from his lemming-minded cohorts. The system that keeps them fed and clothed. Move to Venezuela if you don’t like the capitalist system, bozos. And those cars on fire.. how do they help pollution levels. Evidence of Soros’s army of indoctrinated useful fools? Maybe, probably. The old rascal enjoys chaos for profit, now work out how and where he profits. It is obvious that Sebastian,like many warmists have no idea of the scale of CO2 changes in their postulated warm forcing effect. The first one is irrelevant since hardly anyone dispute it,despite its misleading definition. The second one is absurd,since the MODERN effect of additional CO2 is very small. Surely most skeptics by now realize that most of the postulated CO2 warm forcing effect was already set in hundred of million years ago. Any additional amount in Modern times is trivial in comparison,which is why it has negligible effect on the heat budget in the atmosphere,of today. Kenneth point about a “0.000001 changes in atmospheric carbon dioxide concentrations”, is a valid one,since it shows how trivial the CO2 warm forcing effect is today. Kenneth’s point about a “0.000001 changes in atmospheric carbon dioxide concentrations” is valid one since TODAY’S CO2 warm forcing effect is minimal,since most of it was already done in the first 60 ppm. Which was around 800 MILLION years ago. Warmists seems completely ignorant of this,which is why they persist in their utter delusion,while the rest of us long ago understood,that CO2 levels o0f today has a trivial effect on today’s temperature changes. I can not possibly answer to every reply and when I don’t look at the comment RSS feed for half a day it can happen that they just slip by. Sorry. While it is true that the scale for the influence CO2 has on temperature is logarithmic (e.g. a doubling from 280 to 560 ppm has the same effect as a doubling from 140 to 280 or 70 to 140 or 35 to 70 ppm), that doesn’t mean that the current doubling results in a small increase. I hope you realize that you have to add up all small bars between 280 and 560 to get the heating effect for that doubling. That adds up to a 1.2 °C temperature rise for every doubling. However, that’s just the heating effect of CO2. Feedback can greatly enhance that effect. The range given by the IPCC goes up to 6°C (rather unlikely). I’ve asked you this question many times, and each time you have failed to respond. Let’s see if you have the will to respond this time. Since you agree with the models that say doubling CO2 to 560 ppm will only result in a warming of 1.2 °C, and that it is water vapor and cloud forcing/feedbacks that cause the rest of the temperature increases (“up to 6°C”), what percentage of the warming since 1850 (0.8°C) has already been attributed to water vapor and cloud forcing/feedbacks vs. the warming attributed to CO2? If water vapor and cloud feedbacks amplify planetary temperatures 3 or 4 times more than CO2 alone, surely they have already contributed to the 1850-present temperature change. Quantitatively, what is that temperature contribution, and how did you obtain that figure? And if you don’t have a figure, or if you don’t really have any idea to what extent water vapor and cloud contributed to the temperature increase, on what basis do you believe that the forcing/feedback from water vapor and cloud are going to be warming up the planet by up to 6°C beyond the mere 1.2°C from CO2 once we reach 560 ppm ~100 years from now? If they haven’t contributed yet, why haven’t they? And if they have contributed, quantify it. Since this is “settled science” and not a belief, surely you have something to back up your contentions that dangerous consequences will befall us if we don’t reduce our CO2 emissions/switch to wind and solar. So what are your figures? If you disregard the proven science of thermalisation, and a convective atmosphere controlled by the gravity potential. Sebastian, you and ALL the warmists never show evidence of a real positive feedback loop driving temperature changes.it has not showed up the last 100 years,not in the last 500 Million year either. Positive feedbacks is a modeling construct,nothing else. You as usual have NOTHING to support your CO2 insanity. The first 20 ppm has a postulated 1.7 C warming effect. the next 20 ppm has another .375 C warming effect. another 20 ppm more gives us .20C more. Thus the first 60 ppm shows about a 2.30 C warming effect in the atmosphere. The next 180 ppm gave us only .065C more…. Now we add up the next 120 more….. Tick…Tock…..Tick…. 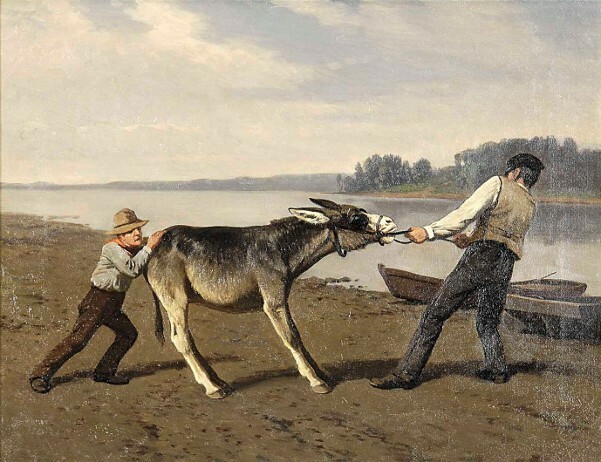 Tock…..
See why skeptics laugh at you? You need to stop thinking that CO2 drives temperature changes,otherwise you will be called stupid and other less flattering names. Since it has been at least 160 ppm in the atmosphere for the last 500 million years,most of the possible warm forcing has already been set in. It has warmed way more than .50C since 1880,which means CO2 warming effect is really small and getting smaller all the time for every 120 ppm increase into the future. Now you understand why they talk about Doubling from 280 to 560,NOT about the trivial increase from 280 to 400 ppm? The increase is so small that even a doubled rate becomes irrelevant. See how little increase there is from 280 ppm to 560 ppm? Sebastian, you need to get off the stupid,”CO2 is driving temperature changes” bandwagon. Eggert, a gas physicist, showed by experiment that the forcing in lab conditions actually levelled off at around 280ppm. ie.. not exactly a log curve. So even without the gravity-thermal regulating effect, there would STILL be no added forcing in an increase from a plant subsistence level of 280ppm, to 400, or to 500, or to 600, or even to 1000ppm. Note, this is the absorption of radiation, not the re-emittance, which doesn’t occur in the lower atmosphere. Coming out of the LIA it is supposed to get warmer! Man has not done it, nature has done it, Seb has no proof to contradict that basic premise. Why are my comments getting swallowed up? It would be nice if there was some confirmation message saying where it went (I suspect the spam bin), but just to take it and show no information is just plain rude. Like having a conversation with some who just silently ups and leaves the room. Did you know that proposals to warm the climate and melt arctic ice with giant geoengineering projects has been the goal of industrialists since the formation of Standard Oil in 1870? Abstract. Most studies evaluating cloud in general circulation models present new diagnostic techniques or observational datasets, or apply a limited set of existing diagnostics to a number of models. In this study, we use a range of diagnostic techniques and observational datasets to provide a thorough evaluation of cloud, such as might be carried out during a model development process. The methodology is illustrated by analysing two configurations of the Met Office Unified Model – the currently operational configuration at the time of undertaking the study (Global Atmosphere 6, GA6), and the configuration which will underpin the United Kingdom’s Earth System Model for CMIP6 (Coupled Model Intercomparison Project 6; GA7). By undertaking a more comprehensive analysis which includes compositing techniques, comparing against a set of quite different observational instruments and evaluating the model across a range of timescales, the risks of drawing the wrong conclusions due to compensating model errors are minimized and a more accurate overall picture of model performance can be drawn. Overall the two configurations analysed perform well, especially in terms of cloud amount. GA6 has excessive thin cirrus which is removed in GA7. The primary remaining errors in both configurations are the in-cloud albedos which are too high in most Northern Hemisphere cloud types and sub-tropical stratocumulus, whilst the stratocumulus on the cold-air side of Southern Hemisphere cyclones has in-cloud albedos which are too low. Ho-humm, models still don’t have clouds correct.